As teams with openings survey the coaching talent pool, they’ll recognize a few subspecies among the candidates. We’ve been performing this exercise since 2013 (five of the seven names on that list were subsequently hired as head coaches). Our 2014, 2015, 2016 and 2017 lists included Quin Snyder, Atkinson and Tyronn Lue. 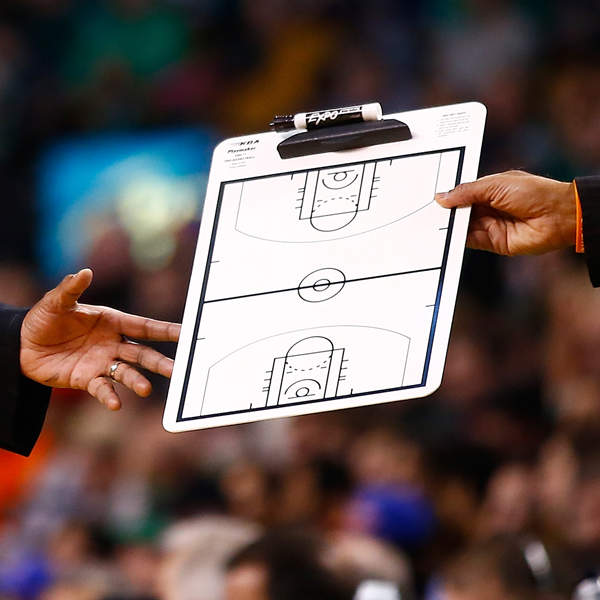 Following are some names that have been cited by some — or many — as head-coaching material. The list, while comprehensive, is not complete. The pool is deep, with coaches now cutting their teeth internationally or in the G League, as well as the more traditional routes such as on the assistant bench. Plenty of other names are certain to emerge. Toronto assistant Nick Nurse (whom we featured in 2016) came in as the leading vote-getter in our informal survey as most likely to succeed as a first-timer. Any team looking to install a coach who will patiently teach a young core to play the right way and systematize an offense will likely find Nurse to be a compelling prospect. Hornets assistant Stephen Silas earns similar praise for his temperament, development approach and interpersonal skills with players. His interview for the Houston opening in 2016 made the race with Mike D’Antoni a strong two-way contest, and Silas now has two months under his belt as the Hornets’ interim head coach this season. Utah assistant Igor Kokoskov‘s name was mentioned in multiple conversations as a bright coach. He led Slovenia to a EuroBasket gold medal in 2017 and has a gift for connecting with players regardless of background, skill set and demeanor. Philadelphia assistant Lloyd Pierce is a name to watch in the coming years. He was named by the most diverse set of sources, from technocratic execs to veteran players. They admire his gravitas and cerebral strategic approach, but also value his ability to establish trust with players from LeBron James to Dario Saric. David Vanterpool and Nate Tibbetts have been a nice tandem in Portland and are fixtures on front-office lists of coaching prospects for their ability to establish trust with players and colleagues and their natural positivity. Warriors assistant Jarron Collins checks a ton of boxes. He’s both a former player who was the consummate locker room guy, but also a full-on geek who grinded as a scout before landing on the bench. He is at heart a basketball intellectual who loves creative problem-solving. Jimmy Butler has stated that Adrian Griffin was essential to his development as a star. Over the past four seasons, Griffin, 43, has gotten interviews with the Cavaliers and Magic for their head jobs. New Orleans Pelicans assistant Darren Erman still has plenty of fans around the league who are willing to look past his messy departure from Golden State in 2014 and focus on his preparation, affability and tactical know-how. Wearing the San Antonio Spurs’ seal of approval during an interview process provides a head-coaching prospect with credibility, as does a call from Gregg Popovich testifying to the candidate’s character and acumen — typically in that order. A long list of current and recently former assistants in San Antonio will see the inside of a conference room this offseason. Ettore Messina, 58, is one of basketball’s true luminaries, a coach who has won four EuroLeague titles and served on the staff in San Antonio since 2014. James Borrego spent the latter half of the 2014-15 season as the interim coach in Orlando (with only a single assistant coach after the purging of Jacque Vaughn’s staff). He was a strong runner-up in Memphis in 2016 and is commended for his vision and character. Becky Hammon has continued to acquire all the necessary résumé items — from player development as a gym rat to stints as a head coach in summer league — and brings a diversity of life experience that general managers value. The Spurs regard Ime Udoka as an exceptional teacher with an even temperament. He commands respect as a journeyman who defied the odds to build a successful NBA career. Lastly, though he’s several years from serious contention as a head-coaching candidate, young assistant Will Hardy was mentioned by several executives as a coach on the rise.